Home ckinginvest LAYHONG LAYHONG (9385) - LAY HONG (Part 1) - Why did the profit collapse and will it happen again? LAYHONG (9385) - LAY HONG (Part 1) - Why did the profit collapse and will it happen again? Greetings forumers, this is my first article on i3. LAYHONG has been on many people’s radars lately as the share price has fallen more than 40% over the last 2 months. Many have jumped in and caught the falling knife. After considering all the info and rumours that’s been circulating in the investment community, I have did some research and have strong reasons to believe that the market has overreacted by selling down the stock too much and thus value has emerged. I will post my findings in multiple parts. I welcome any constructive feedback and discussions on this idea. 1) Why was Lay Hong’s recent result so poor? The reason is simple: It was mainly because of EGG PRICES! Although higher feed cost was highlighted as the main reason in the quarterly report (more on this in my next article). According to the annual report, Lay Hong currently produces 3 million eggs per day. So how many of these eggs are sold as the low margin table eggs? Based on information extracted from the annual report, 34.2% of total egg revenue came from functional eggs. Since functional eggs are more expensive, let’s just assume it is only 30% of total eggs produced. For liquid eggs, management disclosed that 20% of eggs produced were pasteurized into liquid eggs. Now let’s take a look at the egg price trend. We can see that Lay Hong had to sell their table eggs 35% cheaper compared to the last quarter! The reason for such a large drop in profit from RM11 million to only RM2.3 million is because Lay Hong had to sell their table eggs cheaper while the costs to farm the eggs increased slightly. 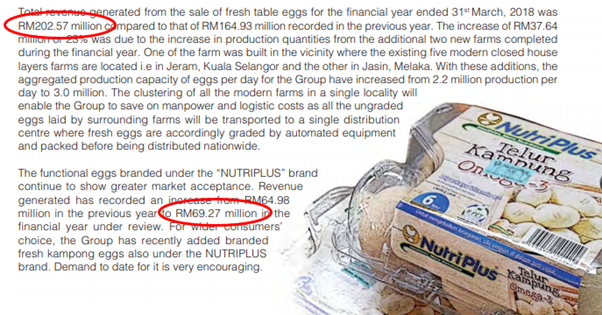 This means Lay Hong’s 1st quarter profit was reduced by approximately RM12 million due to lower egg prices alone! Now that we see how Lay Hong’s profit is so sensitive to egg prices, we know that PROFIT SHOULD REBOUND STRONGLY NEXT QUARTER by observing how egg prices have recovered after the Hari Raya low season. 2) Should Lay Hong be considered a high risk commodity business with low margins and volatile earnings? They are building a second liquid egg plant which will be fully commissioned by this year! This will allow them to allocate more eggs to be pasteurized, thus reducing the volatility of their earnings in the future. 2) and profits should become more stable in the future. 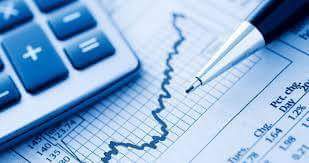 After a 40% fall in share price, the above-mentioned negatives should be more than adequately priced-in by the market as the stock have de-rated from 16x PER to only 9x PER now! Of course, there are some other issues surrounding the stock that’s causing more concern. We will discuss those in my subsequent articles. Stay tuned for Part 2 where I will share why I think there’s even more EXPLOSIVE upside to Lay Hong’s prospects in the mid-term.